This sweet baby girl was a dream to photograph! Lareya not only has perfectly chubby cheeks and a head full of gorgeous hair, but she also has two amazing older sisters (who were such a big help during our session!). For most of the setups, we stuck with classic girly colors like pink, purple, and white. 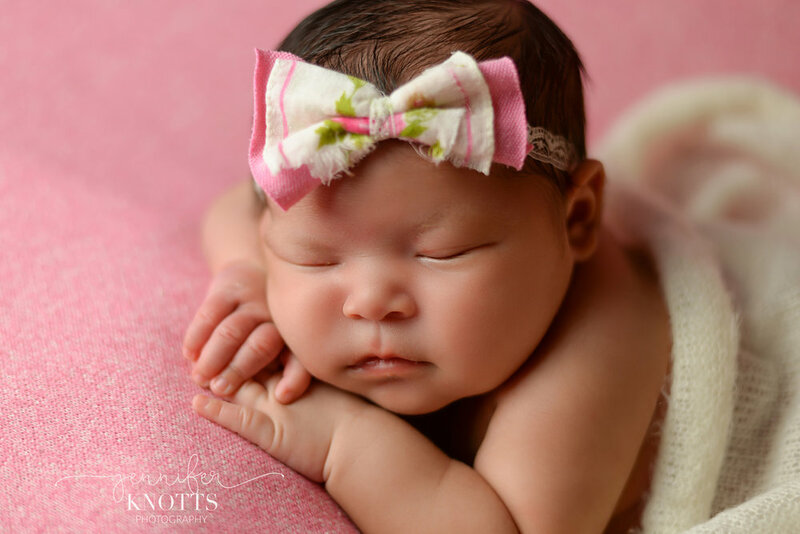 Then, Lareya was swaddled in a beautiful rust colored wrap while wearing a pretty floral headband and as a baby born in October, she totally rocked the fall look. Here’s some of my favorite images from my time with Lareya and her family!